The vast extensity of upholstery options can mean that choosing the best upholstery for your home can be somewhat of a daunting task. When selecting what upholstery will best suit your home, there are a plethora of factors that ought to be taken into account. This guide serves to outline some of the pertinent of these and offer some advice as to what properties of various upholstery options are necessary to make them suitable for certain applications. As with all products, there is no doubt that you will be seeking an upholstery solution that is durable and resilient so as to guarantee you the best in longevity and quality. There are several materials that offer consumers the best in durability and some of these are outlined below. Arguably the most prestigious amongst upholstery options, leather offers a number of practical benefits as well as its timeless visual appeal. Leather is typically treated cowhide and can last for a number of decades if adequately maintained. It is somewhat resistant to stains or spills and, depending on the variety, is relatively impervious to mild scratches or tears. Being an organic fibre however, it does have the propensity to absorb liquids if spills are not addressed quickly and it is susceptible to tears of a more serious nature when wet, damp or moist. In essence, leather will be of notable durability only when maintained to a high degree. 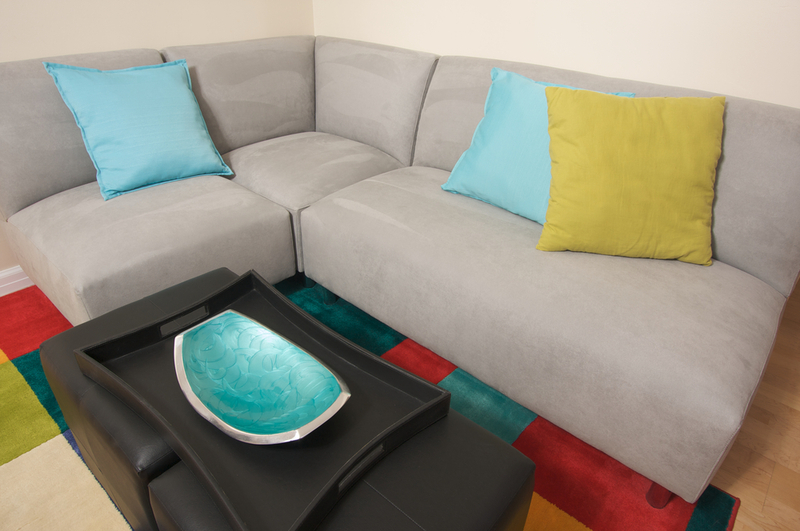 Microfiber is a synthetic material and as such, is one of the more durable upholstery solutions that are available. The finish of microfiber upholstery is comparable to suede and the tightly woven fibres have the capacity to repel water to an extent. This makes it very resistant to spills and stains, as the water or liquid will typical remain on top for a period of time, during which you can wipe it off with a cloth or sponge. The same tightly woven design also allows microfiber to withstand scratches and tears to a relatively high extent. This synthetic variety of upholstery offers a tough finish, with a number of features that add to its durability. Vinyl is widely regarded as one of the most durable materials available in terms of upholstery. Its polymeric molecular configuration is water resistant meaning that any spills will be repelled and can simple be wiped off with a cloth or sponge. Additionally, it is extremely resistant to scratches or tears and this makes it ideal for outdoor application or in homes with energetic pets or young children. Cotton weaves are multifarious in nature and the more tightly woven varieties are often quite durable upholstery solutions. A good way in which to evaluate the versatility of a cotton fabric is through its thread count – materials with a higher thread count are often more durable. Unfortunately however, cotton is compromised in durability by its poor stain resistance. Which options is best for you? In choosing from this variety of upholstery solutions, you must consider several factors. Primarily, regard ought to be had for the function of the upholstery that you will choose. For example, if you are looking to upholster a number of outdoor furniture installations, the ideal material will be affordable and highly durable. As such, you will likely be drawn to a synthetic product such as vinyl or microfiber. Alternatively, you may wish to upholster indoor furniture to match a designer interior living space. In this instance, you would likely seek a product with the most appealing finish – perhaps at a minor expense to its durability. The ideal solution for this purpose would be a product such as leather. In reality, it is a matter of preference and contacting a proficient upholsterer will likely provide you with a multiplicity of options. It is important to recognise also, that addressing any damage is vital in maintaining the longevity and appeal of your upholstery should it be damaged in any way. Engaging the services of an upholsterer will be of great utility also under such circumstances, as they will have the capacity to restore it to its optimum state. Contact Lounge Repair Guys today, for the best upholstery in Brisbane.